Some 55% of Australian journalists believe the internet and social media have diluted the quality of news content and 44% believe that the internet and social media has ‘damaged the reliability of journalism’, according to AAP’s latest survey of Australian journalists. The survey of more than 918 journalists reveals that although Australian journalists are increasingly using social media in their work they are also concerned about its ability to spread fake news. Surprisingly, the survey shows that 60% of respondents believe that social media has had an overall positive impact on journalism and on average they spend 2 hours or more online each day. The survey also reveals that while journalists are increasingly using social media as a tool to monitor news and post and promote their stories, they are still reliant on traditional methods, such as clients and press releases, to research and source stories. The AAP Journalism & Social Media Report 2019 is based on results from one of Australia’s most comprehensive surveys on how journalists use social media in their work. Some 918 responses were received, with 41% coming from Millenials, 32% Boomers and 27% Generation X. 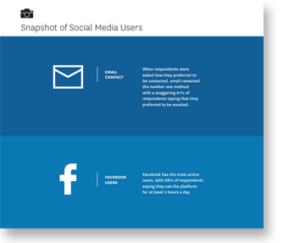 The AAP Journalism and Social Media Report 2019 provides insight into the frequency of social media use, its impact on productivity, use of social media to fact check stories and how journalists use social media to interact with their audience. This is the second report of this size that AAP has carried out on how journalists use social media, the last one was undertaken in 2013. Want to start contacting leading journalists across Australia? Target and distribute your press release to over 59,000 media contacts and influencers. Access to over 1,400 ready-to-use media lists as well as web and social publishing options.